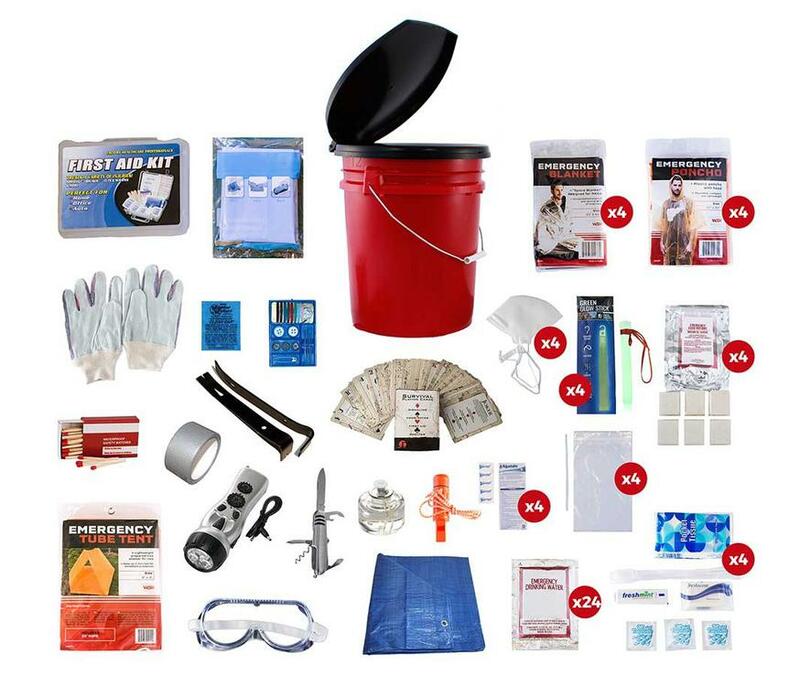 This 4 Person Bucket Survival Kit was designed using advice from experts in the field of emergency preparedness. It follows guidelines offered by government agencies and nonprofit preparedness organizations. All items are packed securely in a 5-Gallon Bucket with Toilet Seat Lid. Individual components are placed in waterproof bags and neatly organized in the bucket for easy access. Hand-assembled in the USA.